Showcase your gifts. Using this 24 Oz. Clear PVC Sides Oval Tin Can gives you a wide variety of ways to show off gifts, make really creative favors and centerpieces for parties and weddings. With a steel top and bottom surrounded by a clear pvc plastic outside, this oval tin can is not what first comes to mind when you think tin can yet it is a great variation. 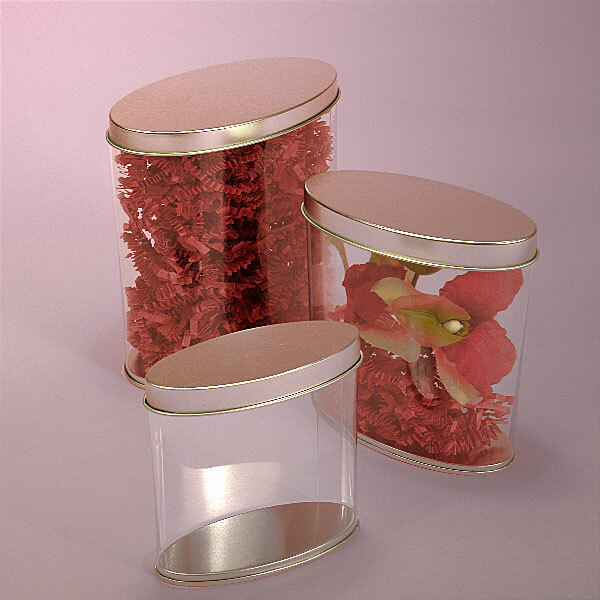 With see through sides you can either place the gift to be clearly seen or use decorative shredded paper, tissue paper or other fun fillers or still have a beautiful gift box. There are limitless uses for these oval cans so make sure to order yours today! Caustic substances may cause the steel to rust.